The event was in a giant expo hall, cavernous and noisy. People crowded through the aisles and booths in a manner equally fitted to a Delhi bazaar as a suburban American weekend. My friend Shriti and I swerved our way through the crowds. I shrug and smile in agreement. I could have explained, “See, there’s this video game, and an evil robot tells you you’re going to get cake if you finish. 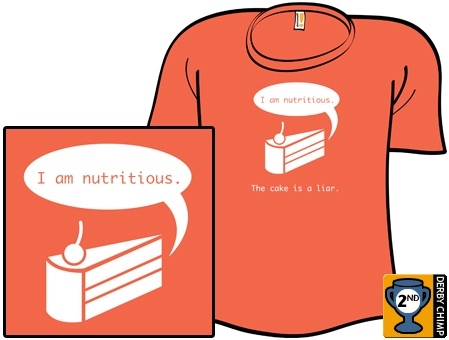 But there really isn’t any cake.” But I figure if he wanted to think I was taking a stand against, say, Vitamin Water, I’d accept that as a valid interpretation of the shirt.